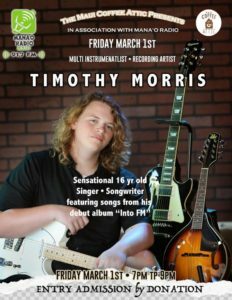 Serious Fun Meets Serious Rock & Roll! 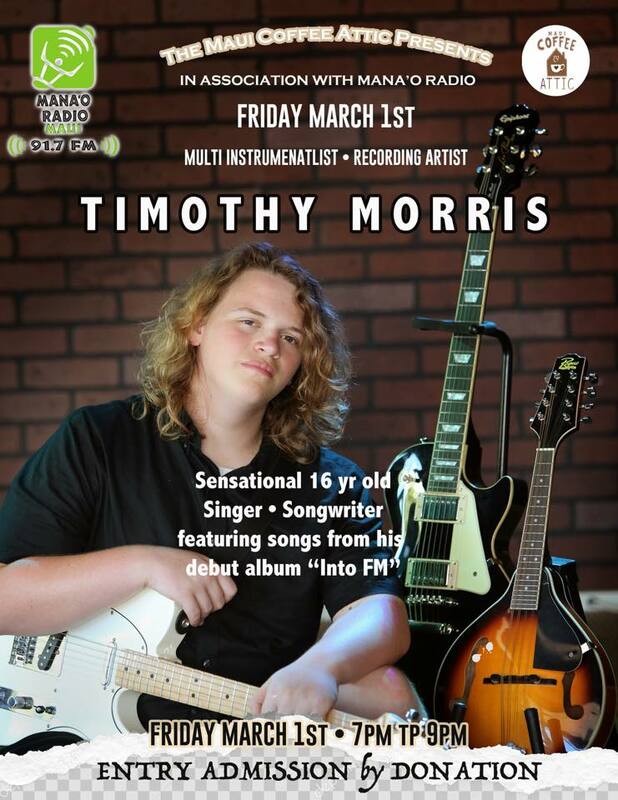 Mana’o Radio and Maui Coffee Attic Present: Timothy Morris, 16-year-old songwriter and multi-instrumentalist in his first full-length electric solo performance featuring songs from his debut album “Into FM” ! Entry admission by donation. For more information call 808-250-9555.